The McDonnell Douglas / Boeing F-15 Eagle is a twin-engined single-seat jet fighter aircraft produced by the US-American manufacturer McDonnell Douglas Corporation, today by the Boeing Defense, Space & Security Devision. 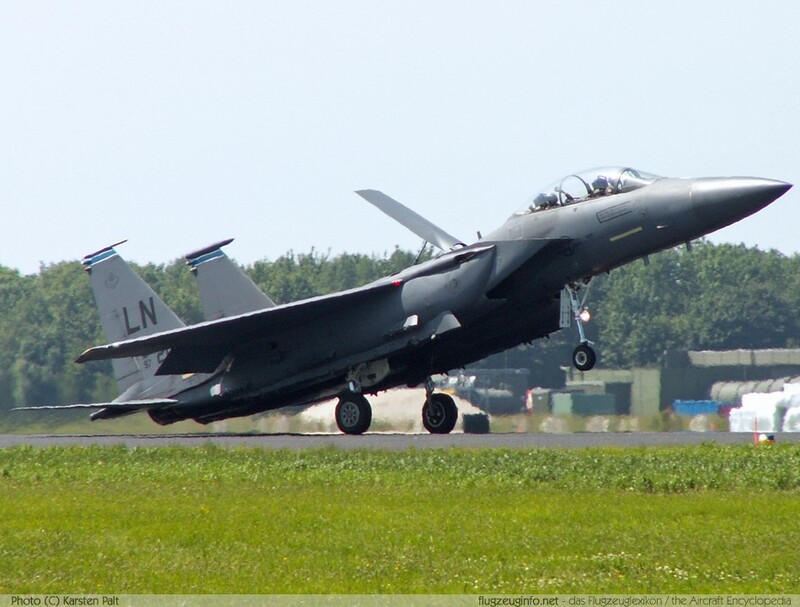 The McDonnell Douglas / Boeing F-15E Strike Eagle is a two-seat multi-role combat aircraft development. The two-seat trainer variants F-15B and F-15D are fully combat-capable. The F-15 was also licence-built by Mitsubishi in Japan.